This is a super cow that was bred and owned by Ken Kirkham!! We have two daughters, Whelma Jet - by Jet Jockey, and Milk & Honey - by Easy Street KK that are extremely consistent producers. 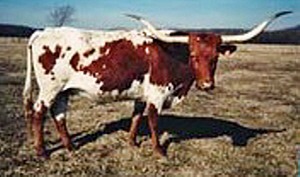 This cow's influence to our herd has been the cornerstone of our program. No holes in this pedigree or cow family. We also have her full sister, Queen Overwhelma II.